Keeping your gutters in clean and working order allows you to enjoy the benefits they bring to your property. Though simple maintenance may be easy to do on your own, getting deep into your gutters and ensuring a thorough cleaning is delivered to your home or business, leaning on expert such as Concord Gutter Installation and Repairs will provide. We bring you the experienced and capable gutter cleaning services you need for the best results and the most benefit brought to your drainage systems. 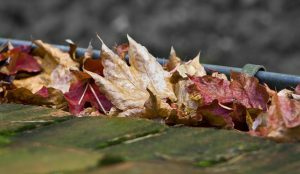 Larger items such as twigs and leaves can eventually accumulate and much like a dam over a creek, create a section of blockage that can ruin the capability for your gutters to work effectively. When calling upon our gutter installation experts for cleaning needs, you can depend on a service that can get up and into your gutters with the right equipment in order to safely and thoroughly remove these blockages from your systems and ensure that you have the freedom of movement for collected water needed for the entirety of the gutter system to work as intended. Even with the main buildup within your gutters taken care of, that doesn’t translate to a full clean being delivered. Runoff from your roof and dirt in the rainfall altogether can cause the basin of your gutters to eventually become home to the sediment and require a more thorough clean brought to your property. When looking to ensure that the entirety of your gutter systems is treated in an effective and complete manner, making the call to your local gutter cleaning specialists will ensure that you have the best in the city bringing their attention to your property needs. When your gutters face issues of blockage, they can find themselves working in a counterproductive manner to their initial installation purpose. With collection of water within your gutters, you put the fascia and front-facing materials of your roof at risk as constant exposure provides the means to weaken these areas. This can lead to a much more thorough and expensive repair service being required rather than being able to simply and affordably avoid this possibility through proper cleaning maintenance. When choosing Concord Gutter Installation and Repairs for your gutter cleaning needs, you can depend on experienced and complete results for your property. When bringing effective cleaning to your gutters, you have the means of ensuring that you have a foundation of effectiveness in place for your water removal needs. Not only does the thorough cleaning of your gutters bring you the means to deal with falling water effectively but also provides you with the means to ensure that you can extend the life of your gutters through keeping them in the best possible condition. No matter the service need you have when it comes to your gutters, you can count on Concord Gutter Installation and Repairs for quality results that provide you the most benefit. Serving Charlotte, Concord, Matthews, Mint Hill, Fort Mill, Rock Hill, Harrisburg, Kannapolis, Gastonia, Huntersville, and the surrounding areas.